Synopsis: Hardware store employee Robert McCall (Denzel Washington) is a hardworking, compassionate, obsessive-compulsive man with many quirks. McCall lives a Spartan existence in his small flat in Boston and offers encouragement and advice to his coworkers and friends while pushing them to strive for their dreams. But it soon becomes apparent that he is a much more complicated and driven person who has very special skills far beyond what one would expect from one so modestly employed. During his typical sleepless nights, McCall visits his favorite 24-hour dining establishment where he habitually brews a cup of tea (after carefully laying out his neatly packed singular tea bag beside his equally fastidiously placed utensils) and reads books. One acquaintance who also frequents his nightly haunt is prostitute Teri (Chloë Grace Moretz) who dreams of becoming a successful singer. 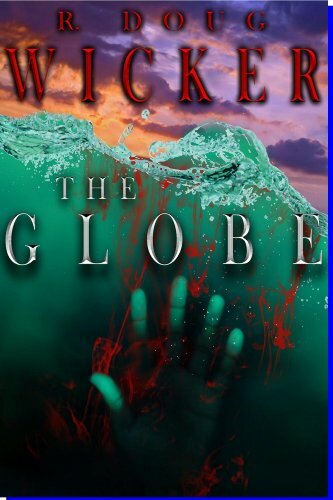 When Teri is brutally beaten by her Russian mobster pimp, McCall decides to take on every link in the vast organization that stretches from corrupt cops on the Boston PD, to New York, to even Russia. 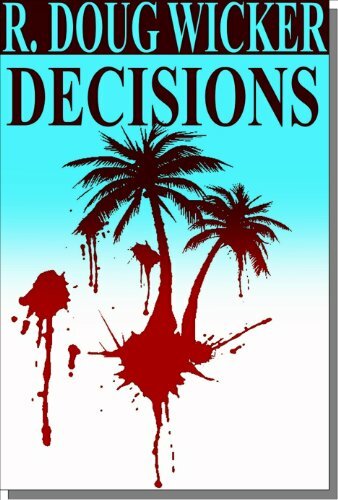 Along the way we find out McCall faked his own death to escape his covert life in U.S. intelligence. But now he’s taken on even more than his exceptional skills can handle, and he’ll need all the help he can get — including assistance from his former “Control” Susan Plummer (Melissa Leo). Review: This is not the Robert McCall of old. Yes, he’s a former agent, but this McCall is working class. He doesn’t drive a Jaguar. He gets around on a Boston Metro card taking buses and subways. His apartment’s sole nonessentials are books and a lone television on which McCall watches the local news. His clothing is utilitarian, and he shuns the finer trappings. He washes his own dishes, cleans his own apartment, and makes his own bed. This McCall never carries a weapon into a situation where one will obviously be needed. Instead, he acquires his firearms on the spot from those who would kill him, disarming his would-be assassins either with ingenious finesse or stark brutality. As befitting this McCall’s obsessive-compulsive nature, he mentally calculates the time it will take him to incapacitate his foes and then times his attack with the stopwatch function on his wristwatch to see how close he comes to his estimate. It’s a rather chilling look into how this man views his own special talents. The script is intelligent, the dialogue fresh, and the acting superb. Indeed, Marton Csokas’ charming yet sinister “Teddy” is one of the most chilling and disturbing villains in cinema. Characterizations are complex and filled with back-story, even Teddy’s. 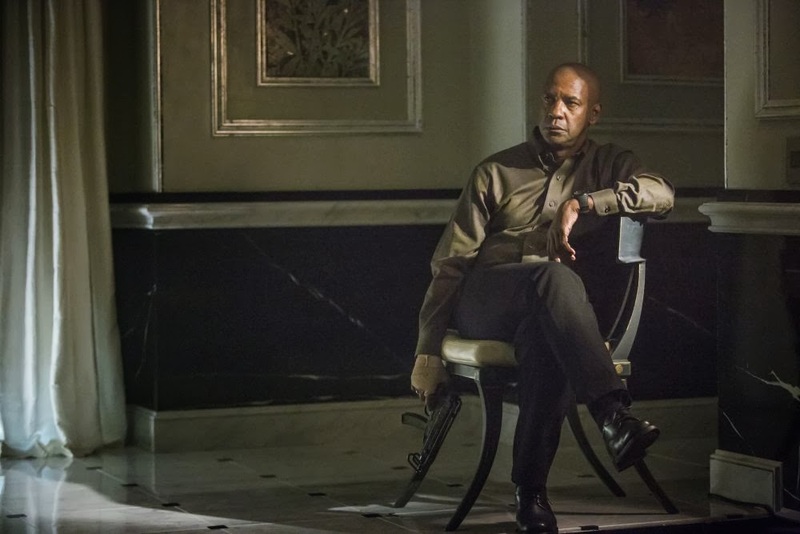 The Equalizer is the thinking man’s action flick. But be forewarned that it is both bloody and brutal. This is especially the case with the rather ingenious methods McCall employs to dispatch one-by-one an overwhelming armed force of assassins sent to kill him in the hardware store in which he works. I’ll just say that it takes the right tool to do the right job and leave it at that. An interesting side note for fans of the original series: Watch for the appearance of a black 1985 Jaguar XJ6 (the personal vehicle of Robert McCall in the original series). If you don’t pay attention you’ll miss it. Look for it in the “interrogation” scene in which McCall extracts information from corrupt Boston PD Detective Masters (David Harbor) in the detective’s garage. I only realized what it was when I saw the XJ’s distinctive chrome-plated, deck-mounted gas filler caps at the rear of the car. Despite the limited protection from The Agency afforded to him by his former “Control” (Robert Lansing), McCall finds himself not only battling for his underdog clients but frequently battling his past enemies (foreign and domestic) and even his past employers as well. 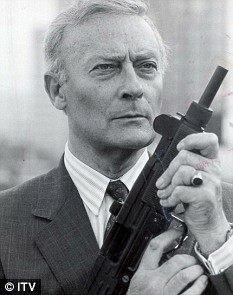 Edward Woodward’s Robert McCall is not nearly the loner of Denzel Washington’s portrayal. This McCall frequently uses agency assets, including favorite strong-arm Mickey Kostmayer (Keith Szarabajka). And, while equally resourceful to the modern McCall, this McCall doesn’t hesitate to carry a weapon into danger, most often his Walther PPK/S in .380 ACP/9mm kurz. Woodward’s McCall is also much less brutal, striving instead to let his antagonists destroy themselves or get the authorities to do it for him. This Robert McCall is British; a former spy; dresses immaculately; carries a PP-series Walther; drives a pricey, high-performance English car; lives in semi-luxury in an upscale New York brownstone, and enjoys good food and wines. He’s also no monk, but his relationships appear fleeting. Does all that ring a bell? It should. This Robert McCall is deliberately meant to leave you with the impression of an aged, world-weary, retired James Bond who wishes to put his past life behind him and to use his special talents to help those most in need. The similarities are just too great for the creators and producers to have had anything less in mind. The Equalizer television series is generally well-written with intelligent plot lines and dialogue. The series shines in character development, much as did its contemporary Magnum, P.I. If you’ve not seen this forgotten gem now would be a good time, as Visual Entertainment just released Season 2 (six years after Universal originally released Season 1) in stores, and offers the entire four seasons as a collector set through direct order from Visual Entertainment. An interesting side note for lovers of soundtracks: Much of the haunting, scene-setting music in the original series was composed by Police drummer and co-founder Stewart Copeland and arranged and performed by Jeff Seitz. Put in words, much of the background music throughout the series is superb. Now for a piece of trivia with an intelligence connection: Stewart Copeland’s parents were Miles Copeland, Jr., of the Central Intelligence Agency and Lorraine Copeland, who worked in the British Special Operations Executive during World War II. Which brings Robert McCall’s intelligence connections full circle, one would think. 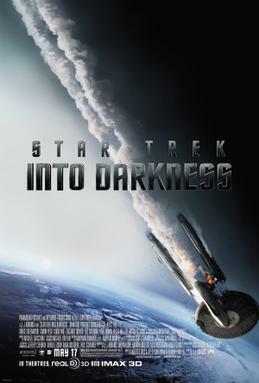 Science Fiction, Action, Adventure; U.S.; 2013; 133 minutes; directed by J. J. Abrams. First up: Star Trek Into Darkness. I have a confession to make before you delve deeper into this review. I’m a Trekker from way back. How far back? Try September 8, 1966. That’s when the first episode aired on NBC. I also consider latter characters and offshoot developments a departure from the original concept, and not in a good way. And just how big a fan am I? Someday I’ll have to post photos of my studio-grade, museum-quality replica of the original USS Enterprise NCC-1701, complete with exterior lighting. That’s not to say that I was all that happy with the 2009 remake using new actors in the original roles. There was much in this movie about which to be disappointed. The Captain Kirk of 1966 was not nearly the rebel portrayed in the remake. The Enterprise was incapable of landing on a planet; the gravitational field would rip it apart, which is why starships were built in orbit (not on the surface of the Earth as depicted). Most of the actors chosen came very close to nailing their respective characters, but Chris Pine was a bit of a disappointment. It was a good effort, but it simply fell short. Not so this sequel. I like action, but not when it gets in the way of storyline and character development. This action-packed visual extravaganza served up heaping helpings of all three, and Chris Pine actually took this role seriously this time. Alas, some of the mistakes carry over from the 2009 version, including ridiculous depictions of the Enterprise not only enduring a planetary landing (and departure), but even substituting for an oceanic submersible at one point. Gene Roddenberry would probably have slapped J. J. Abrams up the side of the head and yelled, “Don’t you understand the physics of all this? Still, the storyline and characterizations quickly overcame such distractions. This was, quite frankly, just a fun movie on every level. And the star of this show? That distinction has to go to Benedict Cumberbatch, whose acting ability I’ve greatly admired ever since I viewed him in BBC’s Sherlock Seasons 1 and 2. 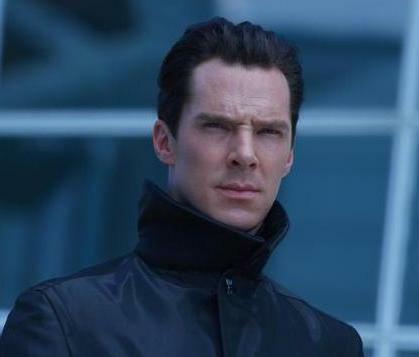 His portrayal of the villainous John Harrison, aka (well, that’s a secret) was stunningly brilliant. All in all, of the entire Star Trek film franchise, this effort is probably the best or at least a very close second to Star Trek II: The Wrath of Khan. The next film Ursula and I viewed this past Sunday was the less-than-stellar Iron Man 3. Not much I can say here except that it suffers from the same affliction that in my opinion taints all the recent offerings from the Marvel stable of comic book heroes — story and character development don’t just take a back seat to the visuals and over-the-top special effects; rather, they get left standing at the curb searching their collective pockets for enough change between them for a cup of coffee and a stale doughnut. Now for the good. It’s better than Iron Man 2. Alas, that’s not saying a whole lot, as Iron Man 2 was a huge disappointment on almost every level. Fortunately, all is not lost. We get much more of Tony Stark in this film, and with the incredibly talented Robert Downey, Jr., that’s an immensely pleasurable thing in itself. Mr. Downey owns the role of the self-absorbed, ego-driven Tony Stark, and in this outing he goes out of his way to prove that. In this battle of the blockbusters, Star Trek came out by far the clear winner between the two. And that’s not a lifelong fan talking now. Ursula, who has never enjoyed Star Trek, absolutely loved this film and everything about it. She was enthralled from beginning to end. Not so the latest Iron Man effort. Indeed, if I were to allow her to influence my rating, I’d have to knock off at least another half point, and possible a whole one taking it down to a dismal 2.5 rating. In conclusion, if you want an action flick for the kiddies then send them off to Iron Man 3. If, on the other hand, you want entertainment that will engage the whole family, get in line for Star Trek Into Darkness.